Well after an impromptu hiatus I am glad to say I’m back. The post I’m bringing you this time is not picture based, but rather text based. Sometimes when researching things, you go off on a tangent. Most of the time this leads to two half written articles. However, this list what too interesting not to post. I found the following list, heavily heavily buried, while looking for On the Border Grill and Cantina’s original locations. I have decided to repost it, to help preserve it. The list looks to have been originated on Usenet, which was a group newsgroup which predates the modern internet. The full list can be viewed here. I have made some edits and additions to the content, which are represented in bold font. – Vegan. Chinese Buddhist. Kosher. Very highly recommended. The only vegetarian restaurant in town. Many of the dishes may be too meat-like for some. – Under new management in Summer of 1994. Menu is supposed to be revamped with an emphasis on healthier food. – Indian vegan. North and South Indian foods. Open 10am-9pm. – Lacto-vegetarian. Vegan-friendly. Run by a religious organization, The International Supreme Master Ching Hai Meditation Association. -Still open as of 2018, not sure about the religious connection however. – Rumored to be once all-vegetarian. Many dishes are lacto-vegetarian that can be easily made vegan. Also several vegan dishes. The black bean nachos are incredible. Special bonus is the Tolkien-related decor and recipe names. -Still open, confirmed that the first 10 years of operation were with a completely vegetarian menu. – Macrobiotic restaurant. Casual, upscale. Innovative cuisine. Brunch on weekends. -Was known as more of a Health Food Store, according to this article. -Located at 2002 W. Alabama from 1989 until company’s bankruptcy in 2001. Was located at 3287 Dunlavy (now demolished former Weingartens) prior to that. -Another location at 9341 Katy Fwy is still open as of 2018. – Natural food store with small restaurant attached. Vegan friendly. Great salads and entrees. Highly recommended. -2900 S. Shepherd was the first Houston Whole Foods, and the first outside of Austin. It was located here from 1984-2001, when it moved to its present location of 2955 Kirby. -11145 Westheimer was the second Houston location to open, it operated from 1991 until 2016 at 11145. -In 2016 the store moved across Wilcrest taking over the former Randalls at 11401 Westheimer. – Kinda like the Hobbit Hole but less veg. Serves a veggie burger. -Still operating at the same location has continuously been in business since 1975. -Opened in 1975 as Hungry’s International Sandwhich Shop, has since renamed themselves to simply “Hungry’s”. 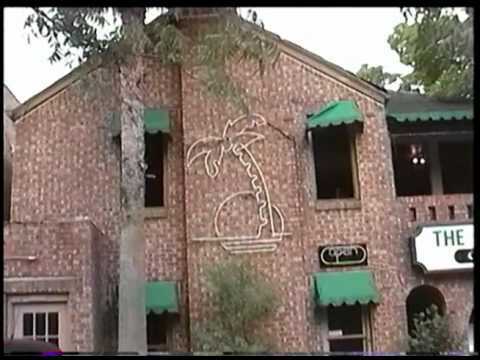 -The first location was in the Montrose Area, with the Rice Blvd. location opening sometime before 1995. -This chain slowly left the Houston City Limits, with only 2 left in the Metro area as of 2018. -This location closed in the early 2000s. -Still open (and popular) at the same location! – Not a restaurant, but caters vegetarian food. -Was possibly run out of an apartment? -Seekers went bankrupt in 1999. -Location was purchased by and still operates as a Whole Foods. -Both locations closed in the early 90’s. The company would try Houston again in the early 2000s. – The 4608 location operated as Sullivan’s Steakhouse for a few years, and was demolished in 2018. -Moved in 2000 when lot was cleared for Central Market. -Relocated right across the railroad to 4100 Westheimer. -Eventually closing in 2005, being replaced by Kiran’s. – Chinese. Vegan-friendly. Exquisite. It doubles as a routine Chinese restaurant for lunch and at night transforms to one of Houston’s most elegant, word of mouth, high cuisine restaurants with extensive wine selection. Scott and Mae Chen provide wonderful atmosphere. Mr. Wong’s kitchen staff are versatile and it’s far, far cleaner than my compulsive pathologist wife and I can keep our kitchen at home. Call in advance and arrange business meetings or banquets. Can match the appearance of continental east meets west flavored and decorated dishes so you can take non veggie guests for a gentle introduction to veggie food in a wonderful setting. Truly culinary ART! Does exquisite vegetarian banquets on request. I’ve studied Chinese food for 20 years and I can’t begin to touch the art of preparation I’ve seen this kitchen routinely turn out for the past two years. Open Mon-Fri from lunch to 10pm, Sat dinner. Closed Sun. – I have an inkling this place may not have been as good as the original author claimed. It was out of business prior to any modern internet listings. -Still open, still serving many vegetarian options. -Can’t find any info on this one. -Can’t find much info online, other than the fact that it closed. -Still there and highly regarded! – ‘Vegetarian’ in Thai means ‘substitute tofu for flesh’. Be sure to insist on no fish sauce or other animal products. – Closed sometime between 2005 and 2009. – So far as I can tell they changed names to Epicurean Lite and discontinued cafe service. – An excellent chain of grocery stores. Not entirely vegetarian, but lots of good stuff veggies look for. Excellent selection of organic produce. Whole Foods bought a number of other similar stores around the country for expansion but Seekers wasn’t one of them. The current Whole Foods occupies the Seekers, an exercise gym, and a Discovery Zone (one of the latter two in the old theater). It opened October 2000. 2815 Garrott doesn’t seem to exist, the road ends at Hawthorne, with the numbers ending around 3400-3600 block, while the opposite direction near the old Days Inn at the Southwest Freeway goes in the 4xxx range. There was a Garrett in Pasadena, but it’s blue collar houses and the addresses even further out than Garrott. Surprised On the Border even closed once. It opened a College Station location in the late 1990s. Wow, I didn’t know Quan Yin has been around for a while. I did eat there once recently (not bad if a bit sailty) and assumed it was new because of veganism being trendy these days.